A lot of fans wait Rafael Nadal to come back to his favorite clay surfaces and from what we can see the Spanish player will not disappoint them this year as well. Less than a month ago, a knee injury prevented Rafael Nadal from playing with Roger Federer in the semi-finals of Indian Wells, while it forced him to withdraw his participation from Miami Open tournament. 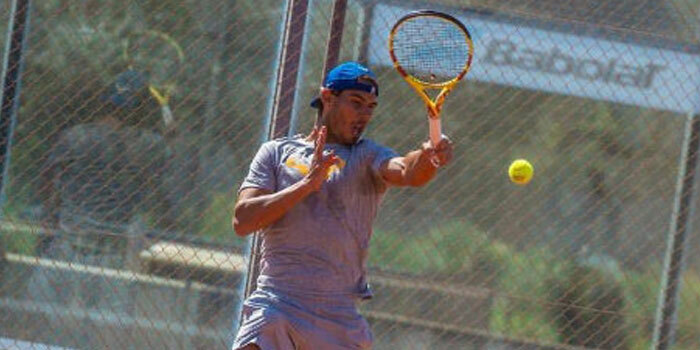 It seems that there is no reason for worries regarding Nadal’s presence on his favorite clay surfaces, since not only he has already entered his academy’s courts in Mallorka but he works hard so as to return better. In yesterday’s training in Rafa Nadal Academy, the 17 Grand Slam titles holder played with the talented Jaume Munar, who has been featured by the academy. Monte-Carlo Masters is about to start in less than two weeks (15-21 April) and if everything works out, Rafa will be there in order to play for his 12th title in this tournament!